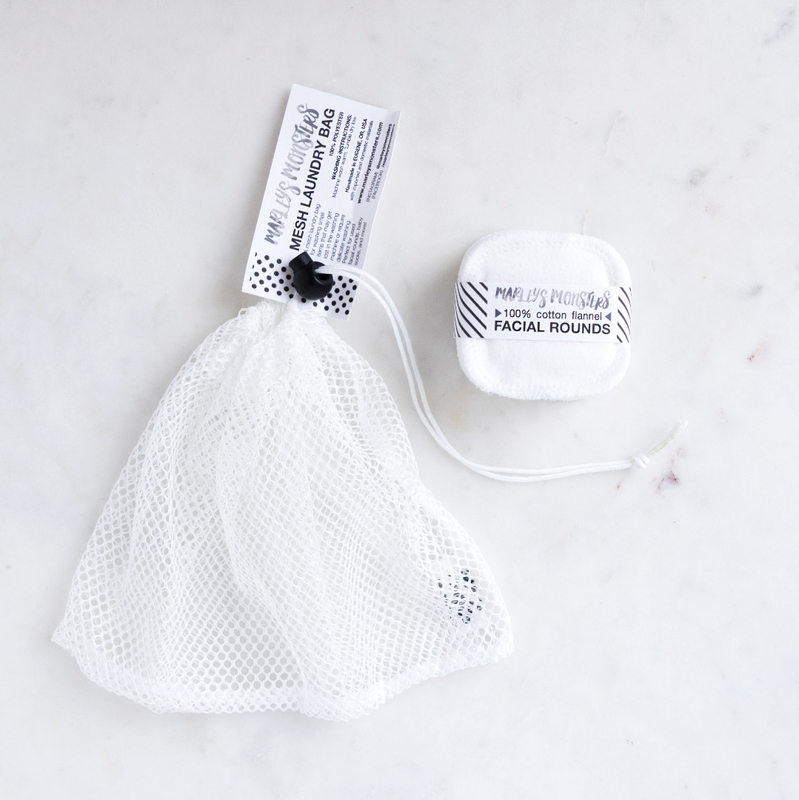 Keep your reusable cotton pads clean and corralled with this Mesh Laundry Bag for Facial Rounds. This small 8.5" x 9.5" laundry bag keeps pads in one place while machine washing and drying. Also perfect for washing nursing pads, baby socks, and other tiny items. Simply place cotton facial rounds into bag, secure with cord, and toss into washing machine. Place reusable cotton pads in mesh bag and secure with cord stop. Machine wash in warm water with like colors and tumble dry.